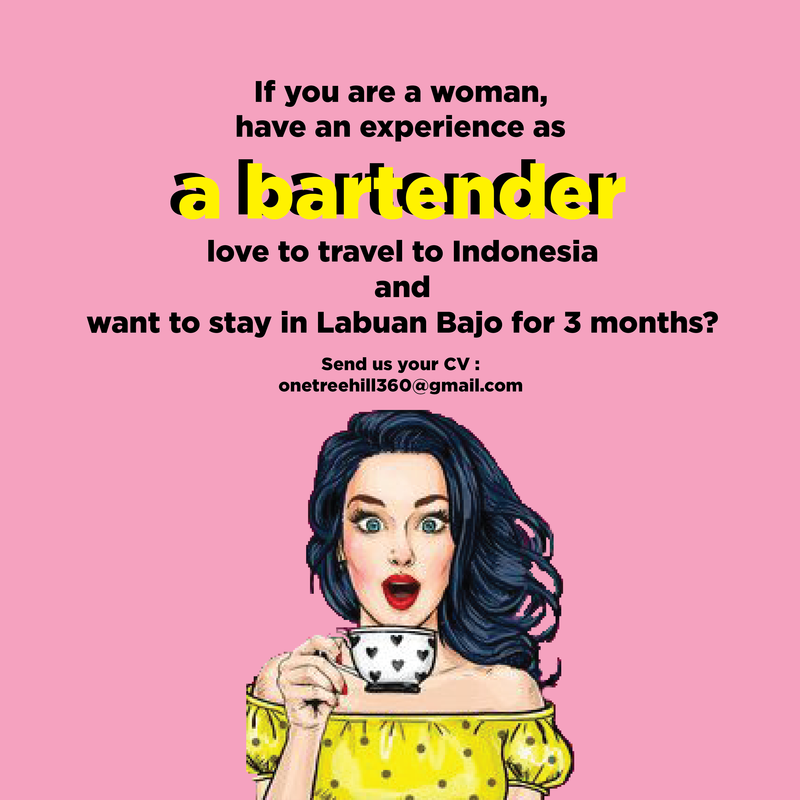 Report 'NEED A BARTENDER in LABUAN BAJO, INDONESIA'? Hi Guys! I'm Beauty and now working in Labuan Bajo. We want to open a new hostel up the hill called ONE TREE HILL (@onetreehill360) and there if you are interesting to live in Labuan Bajo for 3 months, well this oppurtunity might fits you! If you are interesting enough, please send your CV to onetreehill360@gmail.com!